Produces clean, fast cuts in wood and wood byproducts. 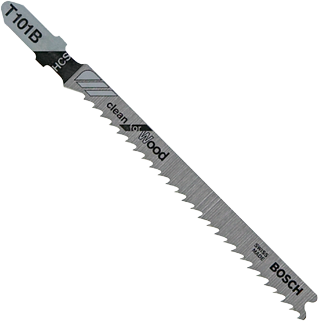 Bosch Precision blades feature a thicker .070 In. body to produce very straight or bevel cuts with increased accuracy. Efficient and economical for professional or DIY users. T-shank design for maximum grip and stability which fits 90% of all current jigsaw makes and models.